It’s the question that every website owner asks: “How do I get more traffic to my site?”. There’s a lot of ways you can bring that traffic in, but the best and most reputable way of doing so is to improve your SEO, so you can bring organic links in from search engines. Here’s just why it’s so important to do it this way, and tips to help you improve your SEO. These will all help increase your traffic, all while improving the quality of your site. As mentioned, there’s a lot of ways you can bring in readers. 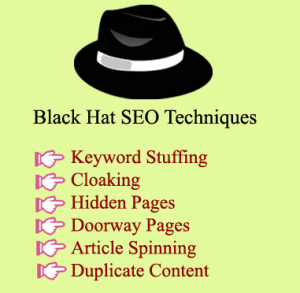 A few years ago, it was common for sites to use ‘black hat’ SEO techniques. These were tactics that were ethically vague and relied on some kind of trickery, either to bring traffic in or keep search engines indexing them. In recent years though, these techniques are very much being clamped down on. If you’re found using them, it can have consequences for your site. Of course, you’d never use them intentionally, but it can be tempting if you’re trying to get eyeballs on your site. Luckily, there are better ways now. Here’s how you can improve your SEO. The first thing to do is to use an SEO analyzer tool to help you see where the weaknesses are on your site. Once you know that, you can use the tips below to improve your site! It sounds obvious but it’s true. If you’re making quality content, then you’ll get more traffic coming in. How does this work? Essentially, search engines look at how long people spend on your website. If they’ve clicked a link from a search, and they stay on your site rather than moving away or clicking back to the search results, then you must be writing good quality material. So, what do you have to do? You have to ensure that the content you’re giving readers is useful, interesting, and worth sticking around for. That’s not an easy task, but it can be done. It’s all about knowing what your readers need from you. If you’re not able to create excellent content yourself, then it’s your job to hire copywriters that can do that for you. There are plenty of sites out there, such as Australian Reviewer and Best Australian Writers, that can put you in touch with qualified writers. You’re not the only site in your sector, and there’s sure to be another site that’s having major success. You probably know which site it is, too. Why not go snoop on them and figure out what they’re doing? You can pick up some helpful tips and even apply tactics to your own site if they’re appropriate. How do you do this? The best thing to do is use an SEO tool, such as Wordstream and Moz. They can help you analyze what the competition is doing, and pick out tools and techniques you can use for yourself. This is a good habit to get into. Regularly check up on what the competition is doing. It can help give you the edge in your sector, as well as giving you insight into how good SEO works for them. Back in the day, keywords were the be all and end all of SEO. The more keywords you could fit in your copy, the better. That was because the more keywords you had, the better you would be picked up by search engines The end goal wasn’t to create good content, it was just to get readers on the site. Once they got there, it was on them to get what they wanted. These days, this practice is called ‘keyword stuffing’ and is very much frowned upon by search engines. If you’re found doing it, you’ll actually be penalized for doing so. The key to using keywords well is fitting them naturally within your text. Create content that your readers will actually want, and slot the keywords in around it. They have to be relevant to the piece at hand, so it is something of an art to make them work. Good content doesn’t come fully formed, ready to be posted on your website. It’s actually worked hard on, and can in progress weeks or even months before it’s seen by the public. Any content you do write needs to be edited thoroughly before you put it online. Editing can be separated into two rough parts: Editing for technical errors and editing for factual mistakes. Technical errors are things like spelling errors or grammatical mistakes. No one is perfect, and that means that sometimes you’re going to make mistakes when you’re writing. If you don’t pick up on these before your post goes public, it can be quite embarrassing for you. A site like State Of Writing can help you catch any of these kinds of errors before you go live. Then there are factual errors. When you’re writing content, it’s easier than you’d think to write in an incorrect name or fact without even noticing. Editing will help you correct these slip-ups so you don’t publish them unknowingly. Of course, you can also edit your work so it’s SEO friendly, too. You can hire SEO editors from UK Top Writers and other sites if you need some help with this. Finally, there’s always going to be small details you’re going to need to take care of if you want your site to be SEO friendly. If you can take care of these, they’ll all work towards bringing you in more traffic. For example, many site owners forget to use meta tags on their pictures. These can also bring in readers through search results, so ensure you’re including them. There’s also the issue of post length. Whether you’re aiming for shorter posts to catch reader’s attention, or longer posts to go into more depth, it’s still better to have a default length to aim for. You can use Easy Word Count to ensure that you’re sticking to the rules you’ve set for yourself. Then, there’s citing sources. If you’re writing good quality content, you’ll need to be using good sources to back your points up. If you’re doing this, ensure that you’re citing your sources correctly. This is actually incredibly important, as if you don’t you could be inadvertently plagiarising. Plagiarism is penalised by search engines, and it could cost you your ranking. 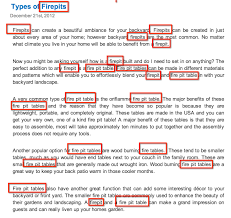 Use a tool like Cite It In to help you get it right. As you can see, bringing more traffic to your site is a case of increasing the quality of your site, and the content that can be found on it. It’s a long-term goal that every webmaster should be working towards. If you can find the right tools and services, you can actually improve your SEO by a considerable margin. It will take some time every day, or week, that you update your site, but it’s worth it. Start putting these tips into practice and you’ll see the difference right away.